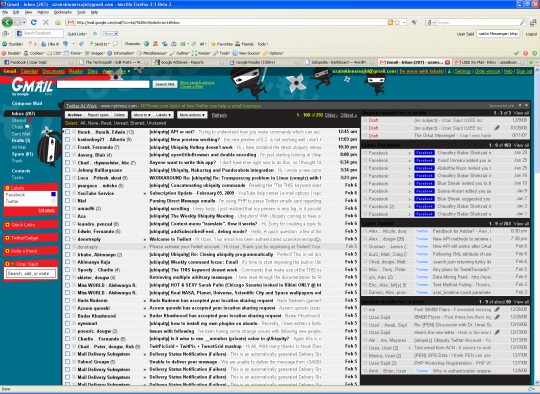 One of the most exciting things about Gmail is the Labs, which continue to add new functionality to the number one webmail service in the world. Almost every other day a new Labs feature is released for us to try out, adding more productivity (or fun) to our daily email tasks. The latest Labs release is again a welcoming feature, that lets you see “Multiple Inboxes” at the same time.What it essentially does is divide your main inbox screen into multiple widgets allowing you to set custom filters on each one. 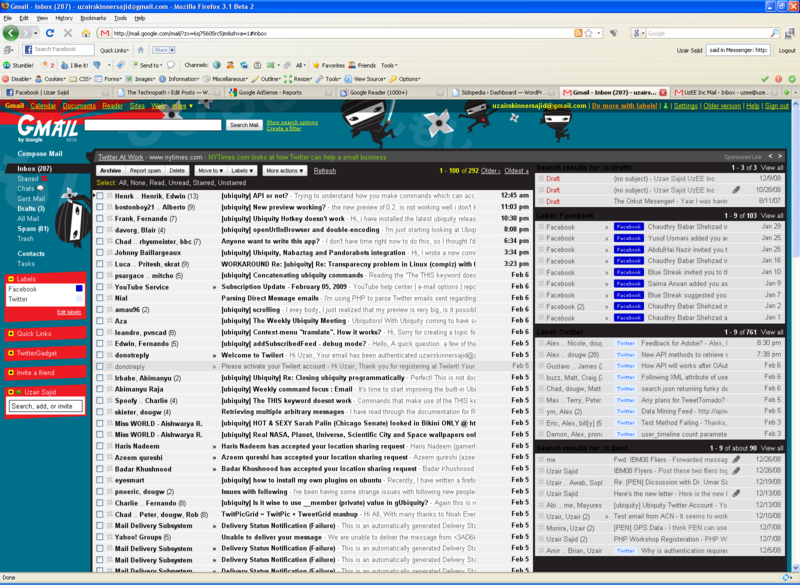 You can view the widgets as a sidebar, or directly above or below the main inbox. Those 5 additional widgets can have any sort of filter applied to them to suite your needs. I did a quick setup of my drafts, Facebook related email, Twitter related messages and my sent messages in the right pane. 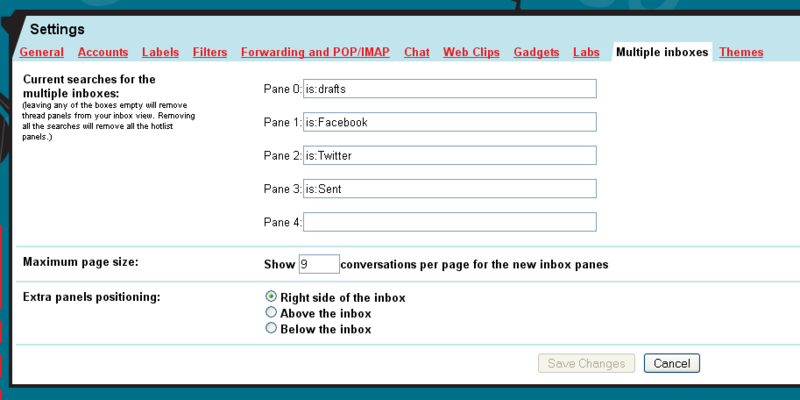 You can set the custom filters through Multiple Inboxes in the settings. If you aren’t familiar with the syntax, then simply open up filters in the settings and create a new filter from the wizard and copy the filter code and paste it in the multiple inboxes settings. This feature would be very useful for people like me who have to go through a lot of emails, and wouldn’t have to switch their folder views to browse through them all. This is quite a up-to-date info. I think I’ll share it on Facebook. Ran 18 queries in 0.162 seconds.